Home > OCT 2016 > Prakala Wealth Management ; Would you like to invest in Mutual Funds? Prakala Wealth Management ; Would you like to invest in Mutual Funds? Prakala Wealth Management can get the process done for you seamlessly. Just pay Rs. 350 and participate in the ever growing India Stock Market. When foreigners are investing in India heavily and participating disproportionately in the India growth story; why not we Indians? Just for Rs. 350, we will do the KYC, choose the fund, and process your SIP and / or bulk investment. Call today to open your account with us: 044-4202-0942/ 4207-3710. In case of NRIs the charges will be Rs. 575. Please pay the charges to ICICI Bank Account given below and call us with reference number. Mr. Chokkalingam Palaniappan, Director, Prakala Wealth Management gives lectures, conducts seminars and workshops on various aspects of finance. Get in touch with us for specific queries. Prakala Wealth Management actively provide Business Consulting Services as well as Financial Consulting & Advice, the details of which are given below. Customers may call +91-44-4202-0942 or 4207-3710 to fix an appointment. Consultation could be done either in person or over phone. After fixing the appointment, we will send you a template where in you can key-in all your details and you may send it back to us before the appointment time. During the appointment time, Mr. Chokkalingam Palaniappan will sit with the customer on a one on one basis in helping the customer to draw a financial map for the customer and his/ her family. It might take around an hour for the consulting. While large corporations can pay heavily and utilize good quality Management Consultants, SMEs (Small and Medium Enterprises) are not able to do so. Prakala is offering these niche clients to fulfil their ambitions and goals through its experienced set of domestic & overseas consultants in a cost efficient way. Prakala’s strategy is to grow along with its clients. As we all know India is a fast growing economy in today’s world. For the next quarter century, India and hence Indians will see dramatic improvement in their lifestyles. Enormous business opportunities will be available to individuals and corporations. Individuals and corporations who are shrewd enough will utilize these opportunities to their advantage. Experienced Strategy / Management Consultants from Prakala Wealth Management Pvt. Ltd. could help you in harnessing these worldwide opportunities. While Mr. Chokkalingam Palaniappan is available on a full time basis for consultations, other panel consultants are available on demand basis. Our panel consultants are from Banking, Microfinance, Oil & Gas, IT, Pharmaceuticals, Power, Architecture, Education, Govt. Services and other niche areas. Customers may call at +91-917-693-9055 or +91-44-4202-0942 to fix an appointment. Consultation could be done either in person or over phone. After fixing the appointment, we will send you a template where in you can key-in all your details and you may send it back to us before the appointment time. 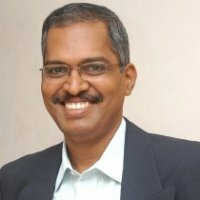 During the appointment time, Mr. Chokkalingam Palaniappan will sit with the customer on a one on one basis in helping the customer to address the issues in his/ her existing business or in starting a new business venture. It might take between one and two hours for the consultation. How to Grow Existing Businesses?